This will help students to be productive using Microsoft Office and other software tools for a wide range of jobs and other life pursuits. Microsoft Certifications differentiate students in today's competitive job market and broaden their employment opportunities. 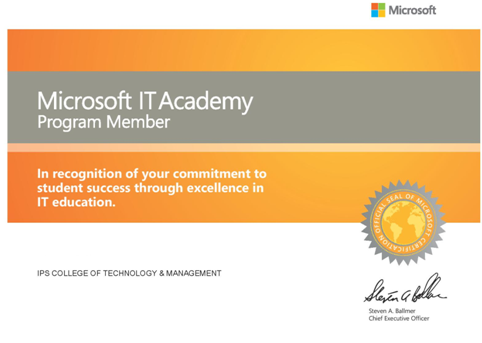 Microsoft Imaging Academy members receive academic discounts for Microsoft Certification exams. E-Reference Libraries for online access to all Microsoft Press books. Access to expanded curriculum resources such as Microsoft Official Course (MOC).